Trying to find a beginner friendly platform that had all of the features I required felt like searching for a needle in a haystack! With that in mind, I’ve sorted through that stack on your behalf. I’ve tossed aside the complicated and overwhelming platforms, and we’re now left with a list of what I believe to be 7 of the most user-friendly builders on the market. 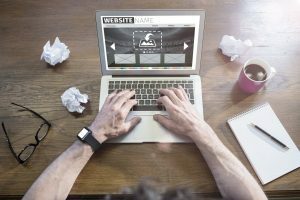 Before we look at each of the platforms in detail, I first wanted to mention a couple of things to look for when choosing a website builder, a “buyers guide” if you will. Wix – Recommended for personal, business, online stores, portfolios, photography & wedding sites. Weebly – Recommended for personal, business, membership, blog, photography, portfolio & online stores. uKit – Recommended for business websites as that’s their sole focus. WebStarts – Recommended for personal, business, & selling a few products. GoDaddy GoCentral – Recommended for businesses who want great support. Jimdo – Recommended for online stores, multilingual sites, people whose first language isn’t English. Site123 -Recommended for personal, full or single-page business sites as well as multi-lingual. Okay, first things first. This may sound obvious but it’s important to be really clear about what exactly you hope to achieve with your website before making your decision. To sell physical or digital products? A portfolio to showcase your work? To help organize your wedding? Or is it a simple blog that you need? Once you’re clear about this, the next step is to make a list of features that your website will need. Features such as contact forms, image gallery, eCommerce tools, online booking forms, audio and video integration. The good news is, most of the website builders listed here are quite flexible and appeal to the mass market meaning they have enough tools and add-on features so you can bend them to your requirements. But they don’t all have everything so going in with a clear picture of what you need will help you quickly eliminate platforms that aren’t suitable saving you precious time. Okay, you have made your list of what you’ll be looking for and now here’s a list of my own. It’s the criteria that I used in order to select the platforms that’ll make creating your website as smooth and headache free as possible! #1 Must be easy to use; This one goes without saying although I did anyway! The 7 builders I’ve chosen allow you to make changes by clicking on text and images to edit them and dragging and dropping elements around the page (some offer more freedom than others. You can also see the changes you’ve made in real time. This may sound like a basic feature yet I’ve seen many people recommending a platform called WordPress to novices. It’s great and all and it’s actually what I use myself these days. The problem with WordPress is, everything is done in a back office. You have to keep previewing your site to see how the live version will look and it can be very tedious trying to get your page to look exactly how you want. It’s probably the polar opposite of what you’re looking for here today! #2 Can’t be overwhelming; There are some fantastic website builders out there that are direct competitors of the platforms here on this page an work in much the same way. However, they take a little longer to master due to the sheer number of customization options available that many of which, you’ll probably never use anyway. Squarespace is a good example. #3 Must have good website setup training; A I’ve mentioned on this site many times before, I’m the type of person who hates using instructions much to the dismay of my partner. Having said that, the training available is something I take very seriously when reviewing website builders as it can save you an enormous amount of time not to mention frustration. Training comes in the form of written tutorials or videos that walk you the steps of setting up your website. #4 Must have good help and support; Even with the best training in the world, sometimes things go wrong and you’ll need to speak to a member of the support team to quickly resolve your issue. I’ve personally tested the support of the platforms listed here in one way or another and was pleased with the time it took to resolve my issues. #5 Must have a free account or at the very least a free trial; The last thing you want to do is have to pay for a website builder before you’ve had a chance to put it through its paces yourself. What if you sign up and realize they don’t have a crucial feature that you need? With that in mind, you’ll find that all the builders below either come with a “free website” option (where certain features will be restricted) or at the very least a free trial so you can see if it’s a good fit before committing. 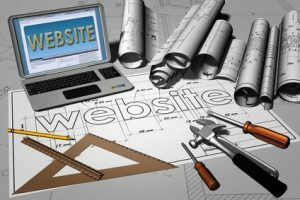 7 Easy To Use Website Builders – A Closer Look! If it’s simplicity you’re after, they don’t come much simpler than Weebly. The team behind it have spent years developing a functional website builder with ease of use at the forefront of everything they do. Choose from a selection of templates with sample text and images that you can swap out for your own. Click on features such as contact forms, image galleries and, social media icons and drag them onto your page. Plenty of advanced features inside the App Center such as online booking forms, pricing charts, and even live chat can all be installed in just a couple of clicks. Weebly is a great option if you’re looking to create a membership site. Your site will work perfectly on mobile devices. Create your website from a PC, tablet, or smartphone. Sell physical & digital products from your site. Weebly only allows you to customize certain elements of your site such as text, images, basic site colors, and fonts etc to keep things simple. I’d like a wider selection of design templates to choose from as they don’t have that many in comparison to some of their competitors. Weebly has a free website option but you’ll find it comes with restrictions and a couple of discreet ads. Their premium plans from form $8 – $38 per month (when billed annually) depending on which features you’ll need. If you choose a 1 year plan, they’ll throw in a free domain name (web address) for the first year saving you around $20. Some of the advanced features in the App Center are by third-party developers and may come with additional charges. You’ll also need to pay for a personalized email address to match your website name if you want one as Weebly doesn’t have an in-house email solution at this time. One email address will set you back around $45 per year. Weebly Review – Take a closer, more intimate look at Weebly. Wix is a drag ‘n’ drop website builder in the truest sense. You can pick up any element and drop it where ever you fancy on your page (with Weebly above, you’re slightly more restricted). Wix has plenty of easy to use tools to help you create and customize your site although they are scattered around the page so it may take you a little extra time to get your bearings compared to Weebly. In my opinion, that extra time is worth it and once you’ve found you’re way around, you’ll have more options to customize your site and really make it your own. Choose from over 500 ready-made templates covering a vast amount of industries to help get you off to a flying start. Wix also has an App Market (similar to Weebly) which allows you to add advanced features such as business, hotel, and restaurant booking/reservation forms which can be installed with a single click. Option to create a personalized business website by answering a series of simple questions using Artificial Intelligence (Wix ADI). The separate mobile editor allows you to customize your site for tablets and smartphones. Sell physical & digital products from your website. Once you’ve chosen your template, you can’t change it unless you’re willing to start from scratch. If you don’t have an eye for design, too much freedom could make for an ugly site. Wix’s cheapest plan still displays ads. 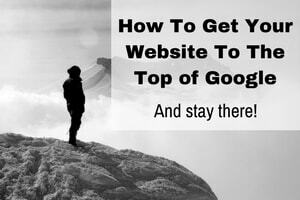 You can only create your website from a desktop PC or laptop. Like Weebly, Wix offers a free website where some features will be restricted and you’ll have a couple of quite obvious Wix ads displayed on your site. If you decided to upgrade, Wix offers a range of plans from $5 to $25 per month. They also throw in a free domain name for the first year but again, a personalized email address will cost you extra. Wix Review – Take a closer, more intimate look at Wix. Where the first two website builders are all-round platforms and can be used for a wide variety of purposes, uKit is focused solely on helping people create a website for their existing business or startup. 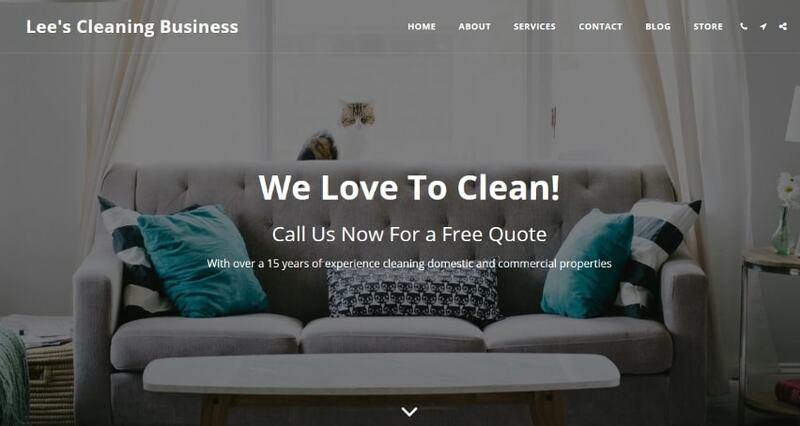 350+ modern, templates covering a wide range of business types. Drag and drop website editor. uKit offers enough customization features to make a site your own without overwhelming. Your contact details will appear at the top of every page making it easier for potential customers to get in touch. 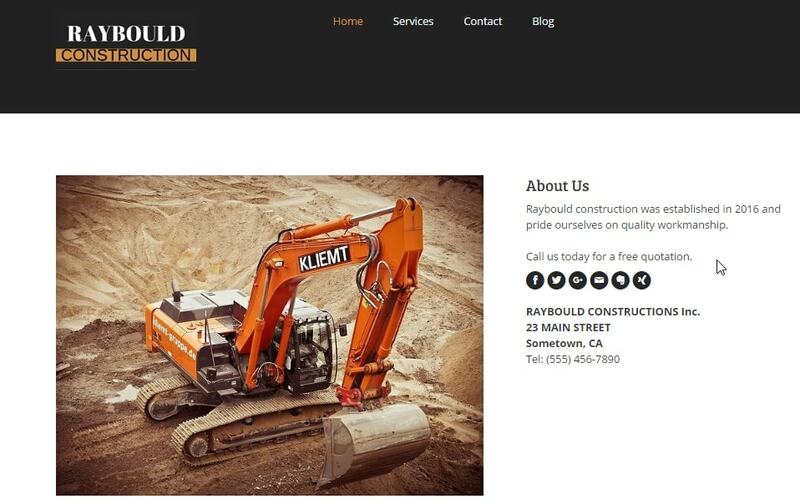 Your site will look great on mobile devices. Sell products from your website. If you decide website building isn’t for you, uKit offers a “done-for-you” option at a very reasonable price. Like Wix, you can only create your website from a PC or laptop at this time. uKit offers a 7-day free trial which is more than enough time to get stuck and test things out. If you decide it’s for you, you can upgrade your account after the trial to one of their premium plans ranging from $4 – $12 per month. In addition, you’ll need to purchase a domain name costing around $15 per year and also a personalized email address. uKit Review – Take a closer, more intimate look at uKit. When doing your due diligence on website builders, WebStarts isn’t a name that you’ll hear pop up that often in comparison to Wix and Weebly. After putting it through its paces, WebStarts definitely deserves its place right here on this page due to its ease of use. A welcome video pops up before you begin showing you exactly how everything works. WebStarts lets you drag and drop elements around your page. Good selection of templates covering industries such as business, resumes, weddings, beauty, animals, and pets. Sell physical and digital products through your site. You’ll have the option to make basic changes to the mobile version of your website. You will be restricted as to where you can place certain things on your pages such as images and text. While I like the selection of templates, I feel they are a little average in comparison to other platforms on this page. Annual billing only for premium plans only (no month-to-month option). By choosing a free plan, you can use WebStarts for as long as you wish but your site will have some features restricted. Their premium plans range from $4.89 to $19.99 per month and as I mentioned above, the minimum plan is 1-year and you’ll be billed annually. To help sweeten the deal, WebStarts will give you a free domain name for the first year, however, there will be an additional charge for a personalized email address to match your domain. Visit WebStarts – Take WebStarts for a free test drive. WebStarts Review – Take a closer, more intimate look at WebStarts. Every time I think of GoDaddy, their claim of how easy it is to create a website in under an hour pops into my mind. From my testing, I’m pleased to say it’s true. Well, the shell of your site that is, you’ll still have to spend more time adding text and images to your pages but the same is true with all of the other options too. The other thing I like about GoDaddy is that they have a reputation in the industry for offering great support which should help you sleep a little easier at night! A wide range of industry-specific templates to help you hit the ground running. Royalty-free stock images if you don’t have your own photos to use. All of the tools are easy to use and can be found in the main control panel. Ability to remove certain elements from your mobile site. GoDaddy walks you through the process of getting your website ready for the search engines so more people will find you. Sell physical products through your site. No option to sell digital products such as ebooks or downloads. Fairly basic features in comparison to other website builders here such as no option to add a blog. Basic customization features such as text, images, basic site colors, and fonts. GoDaddy gives you a full 30 days to try things out, no credit card required. The premium plans start at $5.99 and go up to $29.99 per month (when billed annually). There will be an additional charge for a personalized email address. Visit GoDaddy – Take advantage of the 30-day free trial. GoDaddy Review – Take a closer, more intimate look at GoCentral. Jimdo is truly a global website builder with a strong focus on eCommerce (online stores) although you can create just about any type of site with it. Jimdo is a great option if English isn’t your first language. Use the Jimdo platform in 8 different languages. Create a bilingual or multilingual site for visitors in other countries. Create or manage your site from a PC, laptop, smartphone or tablet. Well laid out, easy to use eCommerce tools to help you sell online. A free personalized email address for the first year. Limited choice of templates and they feel a little outdated. Jimdo offers a very flexible free account that may be enough if you’re only looking to create a basic website. If you need more features, you can choose from their JimdoPro plan costing $7.50 per month or JimdoBusiness at $20 per month (when billed annually). Jimdo throws in a free domain name and a personalized email address for the first year. Visit Jimdo – Take Jimdo for a free test drive. Jimdo Review – Take a closer, more intimate look at Jimdo. I hadn’t heard much about Site123 until I decided to review it one day and I’m really glad I did. I went into it not expecting much but I was pleasantly surprised as to how easy it is to use and it allows for a fair bit of customization to help you differentiate from other websites that are created on the same platform. Site123 walks you through setting up your website with their handy “wizard”. A range of simple design tools allow you to customize your website. A solid option for a single page site although multiple pages are entirely possible. Quickly add more features with the Site123 App Store. No real way to choose a template. Instead, you decide what type of site you wish to create such as “business” for example, and everyone starts with the same look. Quite basic search engines optimization features. Site123 allows you to get started for free to test things out. Their premium plans range from $9.80 to $27.80 per month (when billed annually). You can bag yourself a free personalized email address and domain name for the first year with a 1-year plan. Site123 Review – Take a closer, more intimate look at Site123. All of the website builders on this my page are beginner-friendly and provide you with a simplistic way to get online with as few headaches as possible! Unfortunately, there is no such thing as a “one size fits all” solution and the best one for you is going to depend on what exactly it is you require. My best advice is to pick out two, maybe even three of the website builders from the list above that have caught your eye. Once you have, sign up for a free account and spend a little time with each one. You’ll soon get a feel for them and it’ll be much easier to decide which one suits you best. I sincerely hope I’ve been able to narrow things down a little for you but if you have any questions, please ask away in the comments section below and I’ll get back to you as soon as I possibly can! I’m feeling lack of bit more user-friendly and powerful tools. On the one hand, Wix allows to build interesting sites in few minutes, but when you need to create something more complex, with a blog, subpages, email domain and so on, you might need something more robust. Sure, you can go with WordPress and it will do the job, but when you don’t know a lot about programming or HTML itself – it’s better to try something else. For example WebWaveCMS (link removed). That tool has many useful functions and you can create almost anything you want – from scratch or changing template. Thanks for sharing your thoughts Andrew. To be completely honest, WebwaveCMS is not a website builder is not one that I’ve come across but now I’m intrigued! I’ve added it to my list to review. Many thanks for stopping by. previous post: Create Your Own Personal Trainer Website – Without Hiring a Pro!